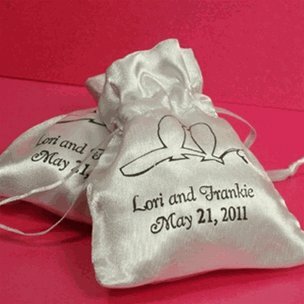 Wedding favour bags are visually pleasing with the added benefit of affordability! 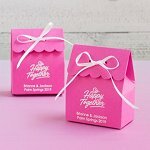 From paper to organza bags, with a vast assortment of colours, sizes, and textures you can easily find a model that matches your wedding style and colour theme. 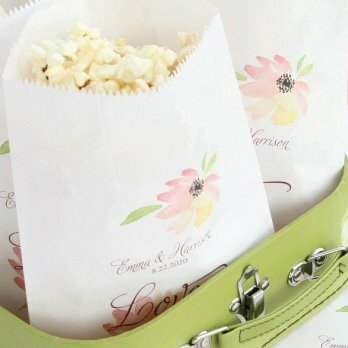 For the best in favours bags - here are our favourites! The tiny bride's gown is made of a white satin bodice with a full tulle skirt. Faux pearls adorn the neckline while lace daisies line the skirt. 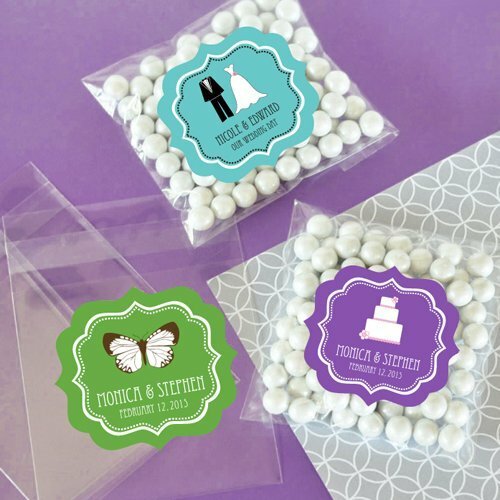 Personalized wedding cellophane bags are elegantly clear, making them a perfect match to any wedding color or theme. Your choice of personalization adds just the right touch of sentimentality to an otherwise blank canvas. 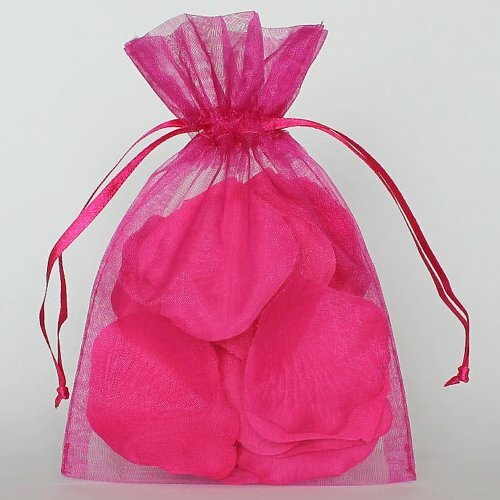 Available in array of colours and sizes, organza favour bags are budget friendly and versatile. 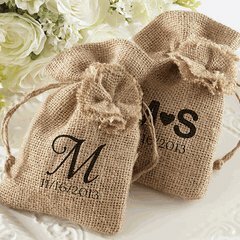 These miniature natural bags can be dressed up to co-ordinate with a range of wedding themes. 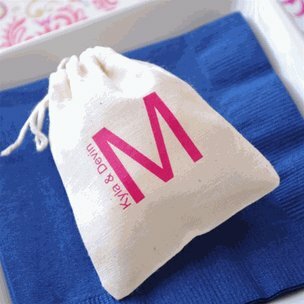 These Monogram Theme Muslin Wedding Favour Bags are eco-friendly and adorable! Treat your guests to something sweet by filling these beauties up with candy. 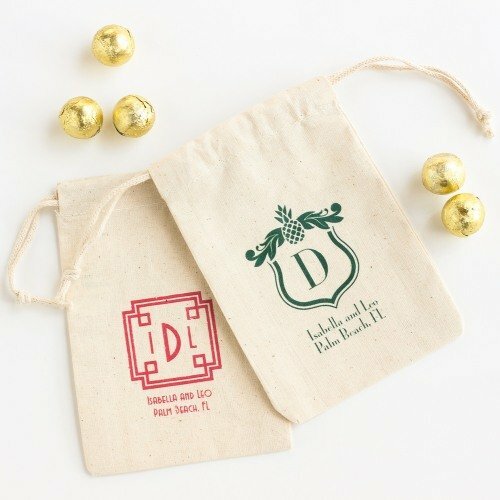 3" x 4" and 4" x 6"
Choose from a variety of colors and personalization options to make these personalized candy goodie bags your own! Add them to your candy buffet for your guests to fill with treats. 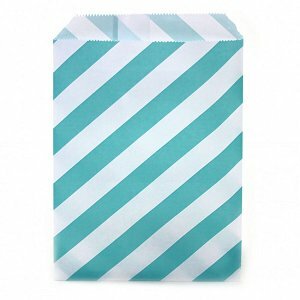 These soft and silky satin bags are available in a variety of colors and can be personalized with your choice of design and color, along with two lines of text. 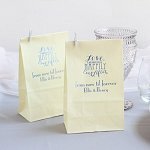 With rustic and vintage weddings trending right now, these wedding favour bags will be the perfect addition to your event. These ivory linen favour bags are the very definition of simple elegance. 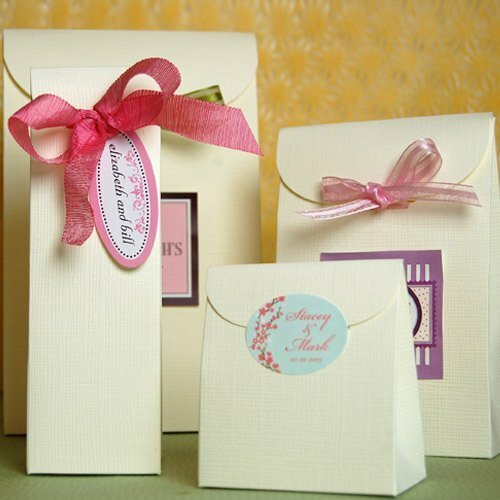 Simply add a bow, personalized label or gift tag to create custom packaging for your wedding favours. Each soft bag is made of eco-friendly unbleached cotton, evoking a simple, rustic charm. Pick a design and font in the color(s) of your choice and personalize with your names and event date. Classy, sassy and oh so sweet, these retro pinstripe goodie bags are just the thing for the modern gal's dream day. 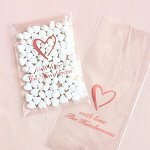 Use as candy favour bags for a sweets bar at your wedding or bridal shower. These clear candy bags allow you to showcase the pretty sweet treats. 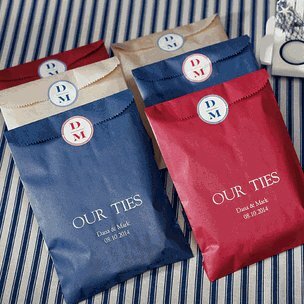 Personalize with your color, design, and message for a unique favour. 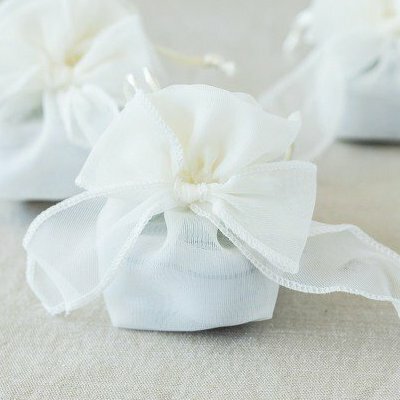 Each favour bag comes in ivory organza with a pre-tied bow. The chic square shape and oversized bow are the perfect complement to your sophisticated wedding. Choose from multiple design options for the perfect theme to beautifully enhance your wedding. 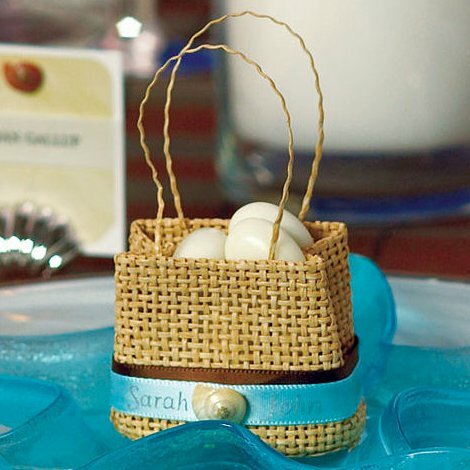 Simply add your personalized message and fill with sweet treats for a favour guests will love. 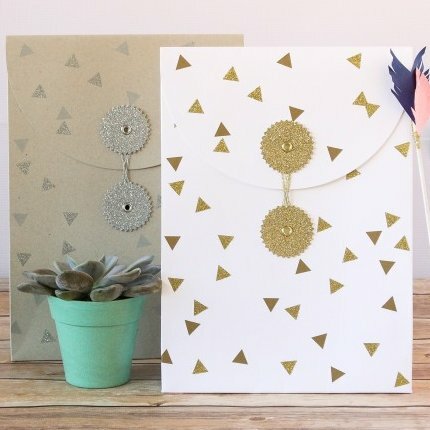 Embellished with silver and gold glitter, a stylish disk and thread fastener, and a curved front flap, these gorgeous bags are just waiting for you to fill them with favours! 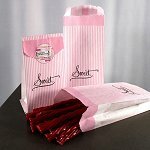 These paper bags come in ten vibrant colors, tens of foil colors and many themed designs-your imagination is the limit! You can even submit your own custom artwork. A truly unique packaging option for all occasions. 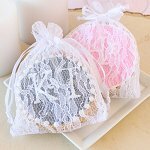 These personalized scalloped favor bags are available in your choice of color and design. Choose your own combination of colors and design to create the perfect look for your event. 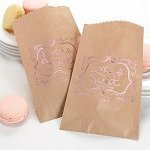 Personalized foil treat bags are the sweetest way to treat wedding guests to a tasty and memorable favor. Choose from multiple design options for the perfect theme to beautifully enhance your wedding, shower, or anniversary party. 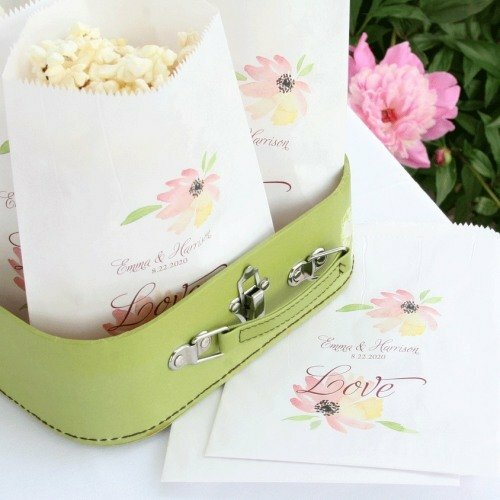 Simply add your personalized message and fill with sweet treats for a favor guests will love.